Last November, a case was brought to our attention at the Society for Science Based Healthcare of a salesperson in an Auckland pharmacy recommending and selling a homeopathic product to someone who didn’t realise until they’d bought the product and taken it home that it was homeopathic and that there is no credible evidence of its efficacy. The society wrote a formal letter of complaint to the Pharmacy Council about this, alleging that it was a clear violation of this section of their code of ethics. Advise [the pharmacy] of their ethical obligation not to purchase, supply, or promote any healthcare product where there is not credible evidence of efficacy. Recommend that [the pharmacy] review their stock, starting with [the homeopathic products we found in their store], to ensure that they meet this ethical obligation. If they are not currently aware of credible evidence of efficacy for these products, they should request it from the manufacturer and, if they are not supplied with credible evidence of efficacy within a certain specified timeframe (we recommend 10 working days) to remove the products from sale. Recommend that [the pharmacy] undertake training of their staff to ensure that no one is giving unfounded healthcare advice to customers. Relay these recommendations to other New Zealand pharmacies so that they are also given the chance to ensure that they meet this ethical obligation. To assist pharmacies in evaluating whether or not a healthcare product is supported by credible evidence of efficacy, the Pharmacy Council should develop and publish guidelines regarding what constitutes credible evidence of efficacy. This need not be a strict requirement so much as a useful guide that pharmacists can use to establish a consistent minimum standard of evidence. The Pharmacy Council said that creating a guideline for standards of evidence was not their role, although they suggested that it may be appropriate for the Pharmacy Guild or the Pharmaceutical Society to create such a guideline and forwarded the letter of complaint on to these organisations. To my knowledge, neither of them has created any such guideline. The Pharmacy Council also wrote to the pharmacy in question. When I visited it some months later I found the same homeopathic products were still for sale, although they had at least been moved behind the counter. @HonestUniverse Had a crazy convo w/salesperson at largest local chemist about why I did not want a homeopathic remedy. She was clueless. @HonestUniverse … she had NO idea what I was talking about. As medicines experts, pharmacists have built their reputation on providing accurate, unbiased information on the use, safety and effectiveness of all medicines, including complementary and alternative medicines. Pharmacists must be familiar with the latest information on the medications they supply to their patients, and seek independent information to maintain an objective viewpoint so they can help individuals make informed choices (Competence Standard O1.2.4). Homeopathy in particular has had much attention over recent times, specifically regarding its plausibility and efficacy. Nonetheless, many people, including some healthcare professionals, continue to use or practise homeopathic medicine and advocate its safety and efficacy. It is not Council’s purpose to endorse any particular complementary or alternative medicine or practice; however, Council believes it is necessary for pharmacists to have a basic knowledge of complementary and alternative medicines to engage with and advise patients appropriately. This approach also ensures pharmacists can meet their duty of care to patients and the profession. Pharmacists should be able to counsel patients about complementary and alternative medicines’ general use, the current evidence and any safety issues, including their use with other medications. Although I’m glad to finally see a statement from the Pharmacy Council about homeopathy, I am disappointed at the weakness of this statement. Especially in contrast with their clear and strong code of ethics that requires pharmacists only sell healthcare products with credible evidence of efficacy – something that is clearly not the case for homeopathy. However, I’m aware that the Pharmacy Council’s role is restricted to the responsibilities set out in the Health Practitioners Competence Assurance Act. So perhaps it would be better to expect professional organisations representing pharmacists to speak out against this. We have recently seen this to be the case with organisations of other healthcare professionals, such as the New Zealand Medical Association whose chair recently agreed on national radio that homeopathy is “just rubbish”. In New Zealand there are two professional organisations (that I’m aware of) that represent pharmacists: the Pharmacy Guild and the Pharmaceutical Society. They are not so limited in position by the law as the Pharmacy Council, so I would hope to see stronger positions supporting science based healthcare from them. Over the weekend, the annual Pharmacy Awards were held, hosted by both the trade magazine Pharmacy Today and by the Pharmacy Guild. Surely, at an event like this we should expect to see a celebration of outstanding examples of pharmacies providing quality healthcare services, right? For the most part, I hope, that may have been the case, but I was rather disheartened to see one award that flies in the face of this goal. To win this award you need to have come up with a complementary health promotion or ongoing programme that has contributed to improved retail result, in areas such as, vitamins, supplements, sports nutrition or homeopathy. I was shocked and dismayed to see this. Pharmacists should win awards for providing an excellent healthcare service. Not for selling more fake medicine. Auckland pharmacist Martin Harris says there is good evidence for homeopathy in the field of quantum physics. “There’s no placebo-controlled, double-blind randomised controlled trials using one remedy and one result because homeopathy doesn’t work that way, it works on energy,” Mr Harris says. Conventional medicines have been proven to have side effects and contraindications, but pharmacies still sell them, he says. Mr Harris, who specialises in nutrition medicine, admits he is no expert when it comes to homeopathy, and his Massey pharmacy sells only a few homoepathy products. But he would be very disappointed if he was not allowed to sell the products as an option, he says. Mr Harris last won the “Best Complementary Healthcare Campaign” award in 2012, but perhaps you could hope the pharmacist community has since stopped celebrating such massively misguided interpretations of the evidence (and ethics) surrounding homeopathy. Unfortunately, this does not seem to be the case, as Mr Harris took home the Supreme Award at this year’s Pharmacy Awards despite selling homeopathic products in his pharmacy and appearing to be proud of it. The pharmacist community makes no secret of the fact that it wants to play a larger role in New Zealand’s healthcare system, calling for changes such as allowing pharmacists to dispense contraceptive pills without a prescription and and provide a substitute for a GP’s services in some circumstances. From my position as an external onlooker, it does seem like there is a certain degree of pharmacists wanting to extend their practice and doctors trying to defend their turf, although I also think both sides have good arguments to make. So long as any changes primarily act to serve the healthcare needs of the public, I’m happy. 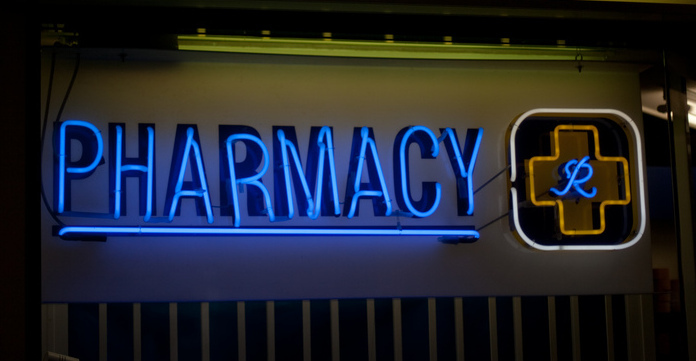 However, running a successful pharmacy is a balancing act between running a profitable retail store and providing a reliable healthcare service. Pharmacies can do a great job at improving access to essential healthcare services such as vaccinations and smoking cessation, but on the other hand many of them also boost their profits by selling healthcare products that do nothing aside from emptying your wallet. A recent opinion piece in Pharmacy Today that acknowledged this balance recommended upselling Vitamin C when customers asked about cold/flu products. While this would surely increase the pharmacy’s profits, the best available evidence doesn’t show that Vitamin C supplementation can help with the common cold or influenza. I just noticed CVS has started stocking homeopathic pills on the same shelves with–and labeled similarly to–their actual medicine. Telling someone who trusts you that you’re giving them medicine, when you know you’re not, because you want their money, isn’t just lying–it’s like an example you’d make up if you had to illustrate for a child why lying is wrong. I believe pharmacists generally do care about providing the best health outcomes for their customers. What I want to see is more pharmacists putting patients before profits, following in the footsteps of Australian pharmacist Grant McGill by choosing to remove homeopathic products from their shelves.